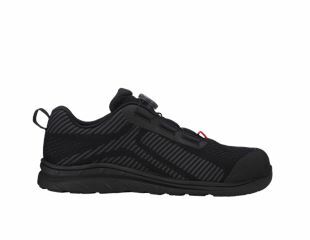 Safety shoes are protective footwear that must be equipped with a toe cap. Your work shoes accompany you all day every day, which is why we supply safety footwear that is breathable and very comfortable. 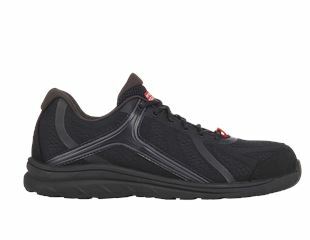 Breathable materials prevent moisture build-up so that you don’t need to worry about wet feet. They also protect you from injury. Safety shoes are available in many sizes for both men and women, aswell as in many sizes and colors to perfectly suit your engelbert strauss safety clothing. Step 1 – What do S1, S2 and S3 stand for? 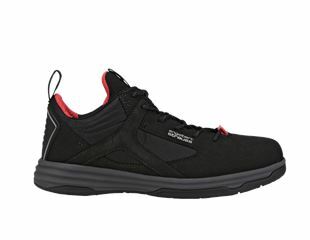 ESD footwear is NOT suitable for electricians that work at sources with electrical voltage. The EU ISO Norm EN20345 and the EN20347 state that antistatic footwear should be used to reduce electrostatic charging and guarantee its discharge. They should therefore be worn wherever electrical shocks from equipment or parts are possible or where there is a risk that flammable substances could ignite on sparks. 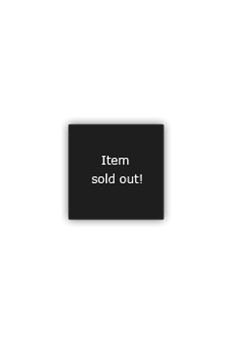 Step 2 – Which safety shoes are best suited for my requirements? What footwear is best in summer, and which is best in winter? 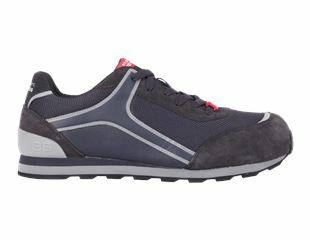 Are you looking for lightweight trainers for the summer or for warm indoor rooms? 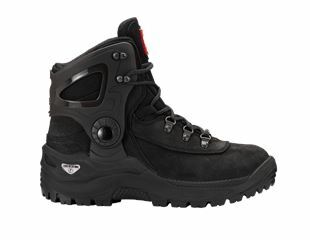 Do you need special safety shoes? Step 3 –How do I clean and care for my safety footwear correctly? 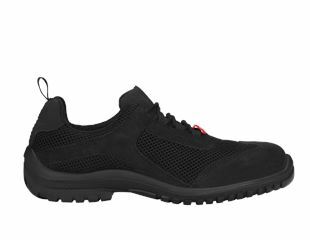 Work shoes need to satisfy a number of requirements whilst also being subjected to heavy wear and dirt depending on your job. The better you look after your work shoes, the longer you will be able to use them. Then you can wash them off under water and dry them well afterwards (not on radiators – the leather will become brittle!). Ideally, you should stuff them with newspaper. To ensure that your safety shoes remains durable, it is important to apply a care product at regular intervals. Footwear that is well looked after remains beautiful and breathable for longer. Our program contains matching e.s. High-gloss shoe cream. This cream keeps shoes supple and is water-repellent. Suede needs to be cared for differently than smooth leather. Never use products that contain grease or wax because this will spoil the suede. We recommend regularly roughening up Nubuck material with a brush and using an impregnation spray. The best care agent for textile shoes is the e.s. Cleaning and care spray. This 3-in-1 formula cleans, cares for and impregnates your shoes. To ensure permanent protection, we recommend regular use of the e.s. Shoe proofer. 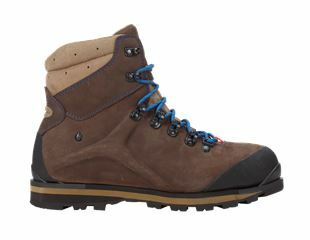 It is suitable for all materials and protects your feet from the wet, dirt, oil and dust. To prevent odours developing at an early stage, we recommend not wearing the same work shoes every day. This gives them the opportunity to air out. If your shoes got damp at work, let them dry out completely before wearing them again. TIP: If your safety shoes still smell somewhat unpleasant, we recommend e.s. shoe deo. 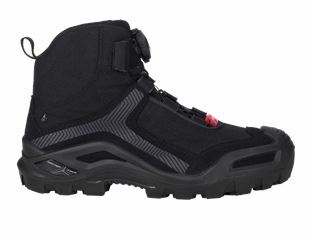 Found the right safety shoes? Then take a look at the huge range of matching clothing and workwear like overalls, work trousers and jackets and shoe accessories ranging from shoe dryers, laces, insoles through to the right functional socks.